Grade 7 and 8 students. Teams general do not limit the number of students per team. The team’s philosophy is to provide students with an opportunity to learn new sports and develop skills and teamwork in a fun and friendly atmosphere. Students are encouraged to try different sports with no experience required. Grade 8 and 9 students. 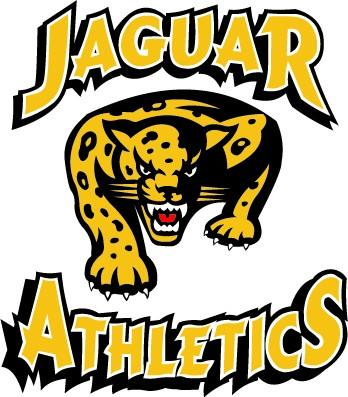 Senior Jaguars teams will limit student numbers based on a reasonable number of athletes per team. The team’s philosophy is to provide athletes an opportunity to develop their existing skills and teamwork in a fun and friendly atmosphere. Grade 10 and 11 students. JV teams have tryouts depending on athlete turnout. The team’s philosophy is to improve already established skills and teamwork. The goal is to improve and become a part of a senior Gryphon team the next year. Previous sport specific experience is not required but beneficial. Golf has a short season starting and ending in September. Senior high players practice at the out of town golf course after school. The team will compete in zones and have the chance to qualify for provincials. The teams start at the beginning of September and go until mid October. Teams run after school practices and enter several meets. All athletes will compete in a zone meet with the Senior High students having an opportunity to qualify for the Provincial meet. Senior high begins tryouts in June of the previous school year. Grade 9s try out in June for their grade 10 year along with current grade 10 and 11 athletes. Volleyball season runs from September until the end of November. All teams run two practices a week and play several weekend tournaments and the occasionally exhibition games after school. Junior Jaguars play modified rules called triple ball. Basketball tryouts begin after volleyball season, normally sometime in November. Interested students should listen for announcements and look for posters in November. All teams run two practices a week and play several weekend tournaments. Junior High basketball play league games during the week either home or away. Senior high Senior basketball will participate in a league and will compete once a week at home or away. Curling is a senior high sport. The season runs from October to March . The teams have a zone bonspiel and occasional additional bonspiels. Badminton tryouts begin right after basketball season ends in and finishes in May. The teams have a few after school or weekend tournaments. Athletes qualify for provincials on an individual or pairs basis. Senior high players will compete in Conference playdowns with the top two qualifying for the Zone playdowns. The top two athletes at zones will then qualify to play in the Provincial tournament. Track and field season runs from April (depending on weather) until early June. Team members practice after school. The Junior high athletes will participate in the Ron Pate meet where the top place finishers will be asked to compete in the divisional meet. The top finishers at the divisional meet will then qualify to compete in a zone meet. The Senior high track team will be able to send two athletes per event per age category to the Zone meet taking place at the end of May. The top two finishers at the Zone meet will then qualify to compete at the Provincial meet.